Information about the health, abundance, distribution and other data on Klickitat River fish and their environment is collected by YKFP staff throughout the subbasin on an ongoing basis. 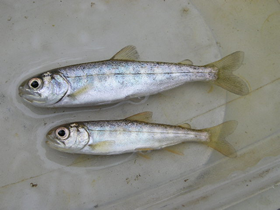 Fish population and habitat data are collected by the Monitoring and Evaluation project and the KWEP (Klickitat Watershed Enhancement Project), while management and analysis of the data is supported by YKFP Data Management. Length frequency and age composition for wild salmon and steelhead populations has been described at all 3 trap locations. Temporal and spatial redd distribution and long-term redd abundance for, steelhead, has been monitored throughout the subbasin. Time span of dataset for spring Chinook is 1989 to present; for steelhead, 1990 to present; for fall Chinook, 1995 to present; and for coho, 1996 to present. Global Positioning System (GPS) locations have been recorded for redds since 2003; this has allowed for better spatial display and analysis and for preliminary development of a Geographic Information Systems (GIS) database. 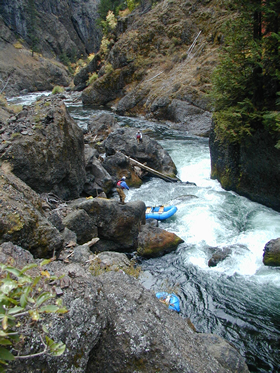 Rainbow trout populations in the upper Klickitat River (above Castile Falls) show some indication of interbreeding with anadromous steelhead. Approximately 80 sites on 40 streams have been surveyed to date, including all major tributaries (many with multiple sites) and multiple sites on the upper mainstem Klickitat River. Some sites have been surveyed a second time; most sites are planned for resurvey on a 5- to 10-year basis. Data. 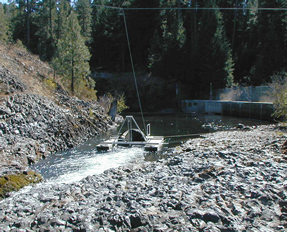 90% of the final design work was been completed for the Castile Falls Fishway Enumeration Facility. Facility will be placed within the fishway exit of the #10/11 tunnel and monitoring escapement into the upper subbasin by use of video and PIT-tag technologies. Abundance estimates have been completed in numerous tributaries. 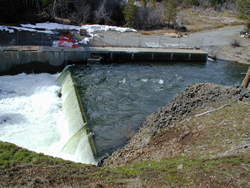 EDT Model runs have informed Subbasin Planning, Anadromous Fishery Master Planning, and the federal Salmon Recovery Planning processes. Gravel samples have been collected and analyzed annually from 12 sites distributed over the mainstem and major tributaries since 1999. Data. Basic water quality parameters have been monitored on a seasonal basis since 2000 at most of these sites. Data. 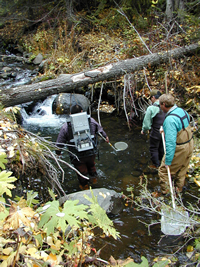 In 2002-2004, approximately 1000 pathogen samples were collected from various sites throughout the subbasin; samples were analyzed by the U.S Fish and Wildlife Service (USFWS) using protocols of the National Wild Fish Health Survey. 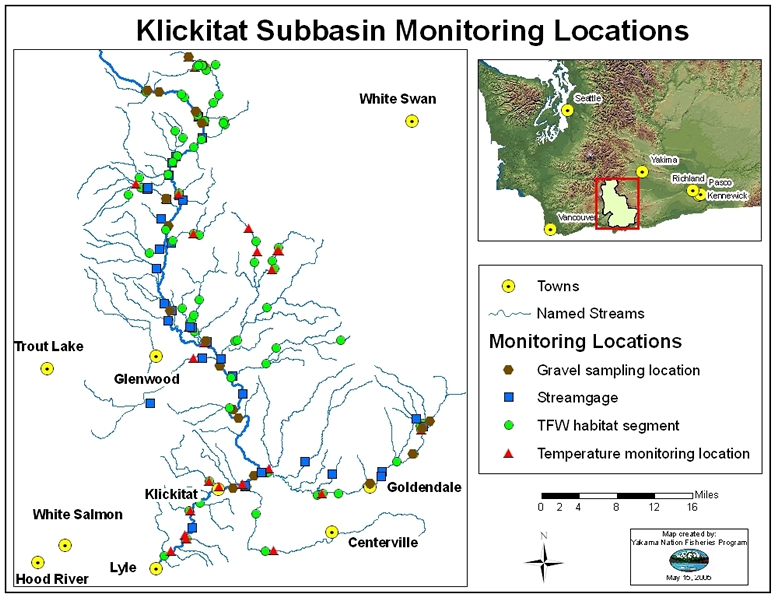 The map below illustrates the various monitoring locations in the Klickitat Subbasin. Click on one of the text links below the map to go to interactive maps for specific types of monitoring data. 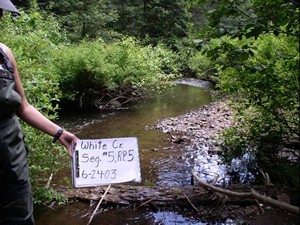 Gravel/sediment sampling sites: sediment monitoring is conducted through periodic sampling and analysis of gravels in locations throughout the subbasin. Select from the drop-down menus below to view data reports. USGS real-time water data for the Klickitat River above West Fork near Glenwood, WA. Washington Department of Ecology's Little Klickitat River flow monitoring station.